So I finally finished my skull cannon and now I have been sort of pawing through my stuff trying to figure out what I would do next. I also knocked out 21 cobblestone bases for my CSMs as well, but I don’t have pictures of those currently. 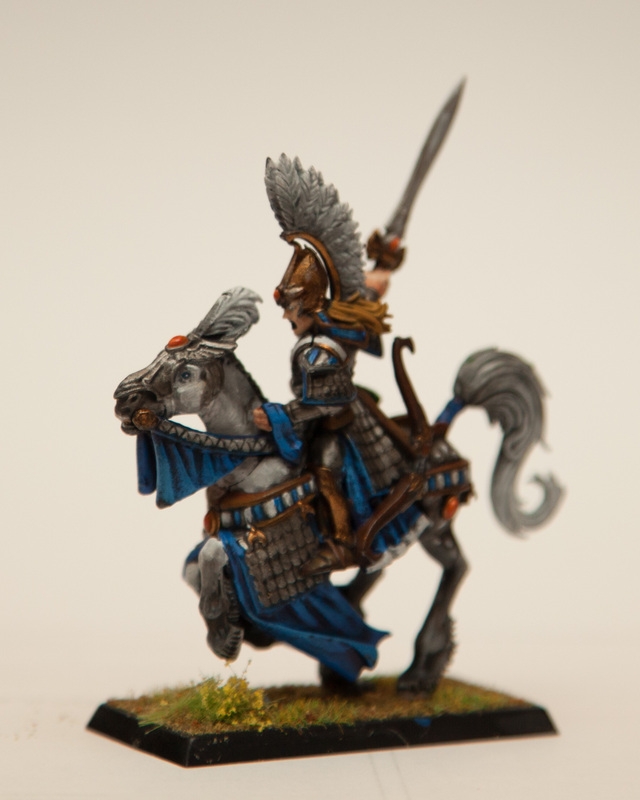 So I figured I have these fantasy miniatures that are cool, I’ll paint some of those. The new Age of Sigmar game is catching my interest more as it matches my fluffy play style and is very simple and destructively brutal. This is in no way suggesting that I am going to be a convert, like I said previously, it’s just a reason to buy all the super cool minis I have wanted from the fantasy line…think Nagash and war hydra. So, these are the final shots of the Skull Cannon. 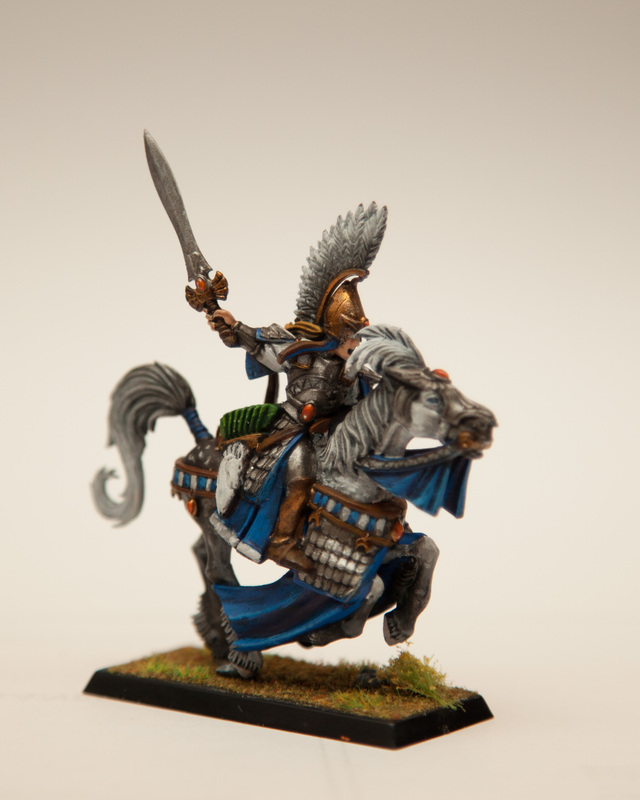 These pictures are of the Elyrian Reaver that I finished. Took the opportunity to work on my shading of white. 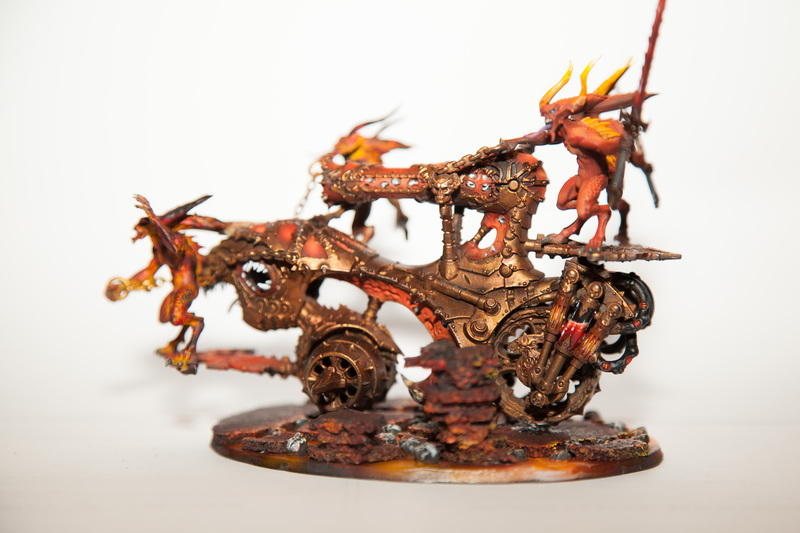 This entry was posted on August 16, 2015 by Khorne Inquisitor. It was filed under 40k, Age of Sigmar, Daemons, Hobby, Khorne and was tagged with 40k, age of sigmar, Chaos, hobby, Khorne, Painting, Skull Cannon.